At the BETT show in January 2004 the Department for Education and Skills (DfES) launched a series of ICT support packs called “Key Stage 3 Embedding ICT @ Secondary” for each of the National Curriculum Subjects.They included a CD-Rom with print resources and video case studies. 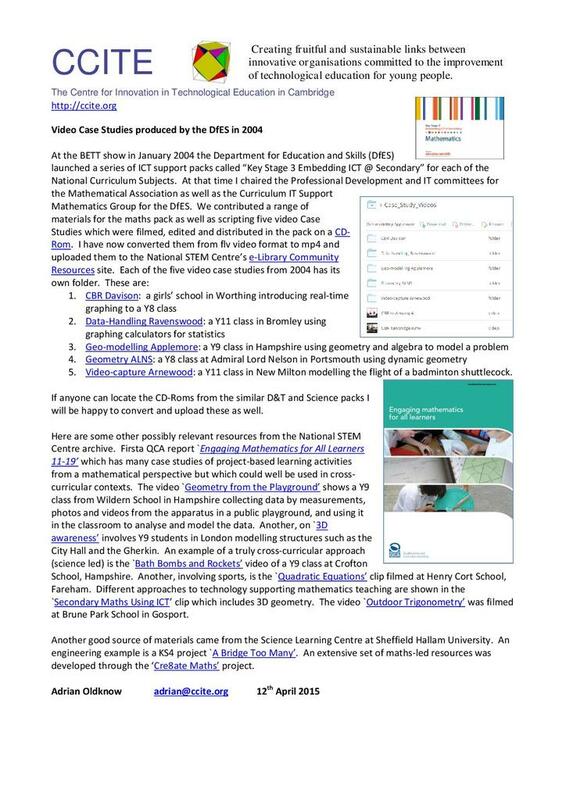 I have taken the 5 case studies for the Maths CD and converted them from swf to mp4 format. They are posted in the eLibrary Community Resources area. Just search for "DfES Video Case Studies" to find them. More information and links are on the pdf and Word documents below.